While the letters we use to write English often roughly correspond to spoken sounds, two letters sometimes make the same sound in different words, like the "c" in "circus" and the "s" in "sir." 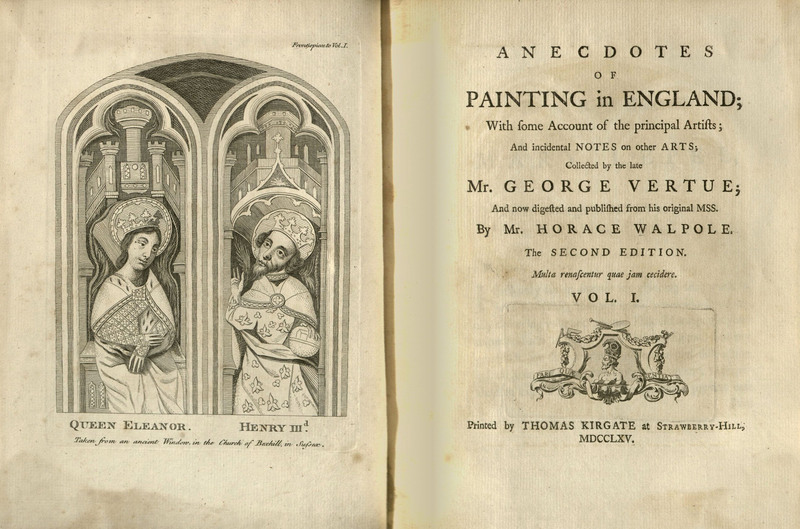 The letters themselves have changed over time, as well. 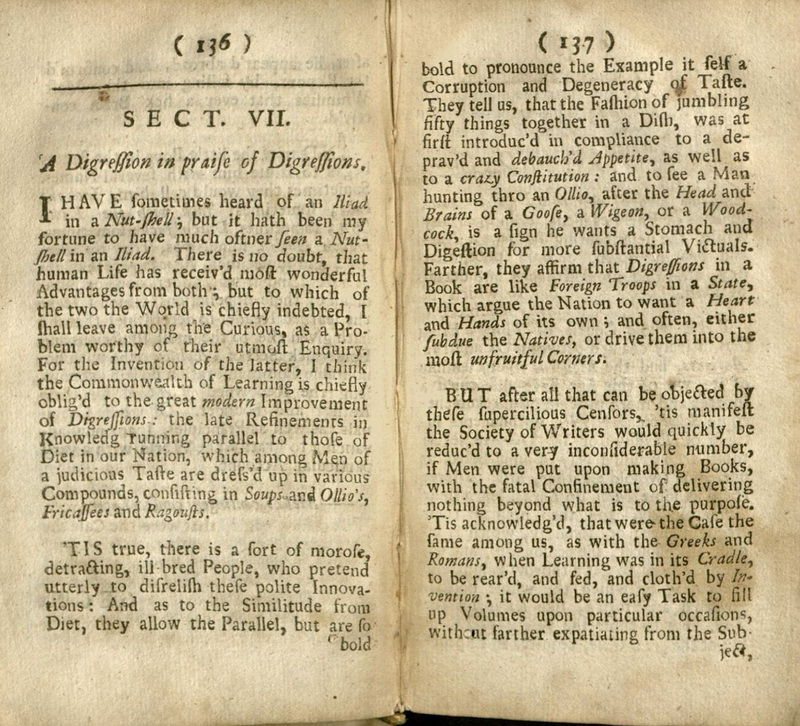 One lower-case letter we no longer use, called the "long s," developed in the 8th century. 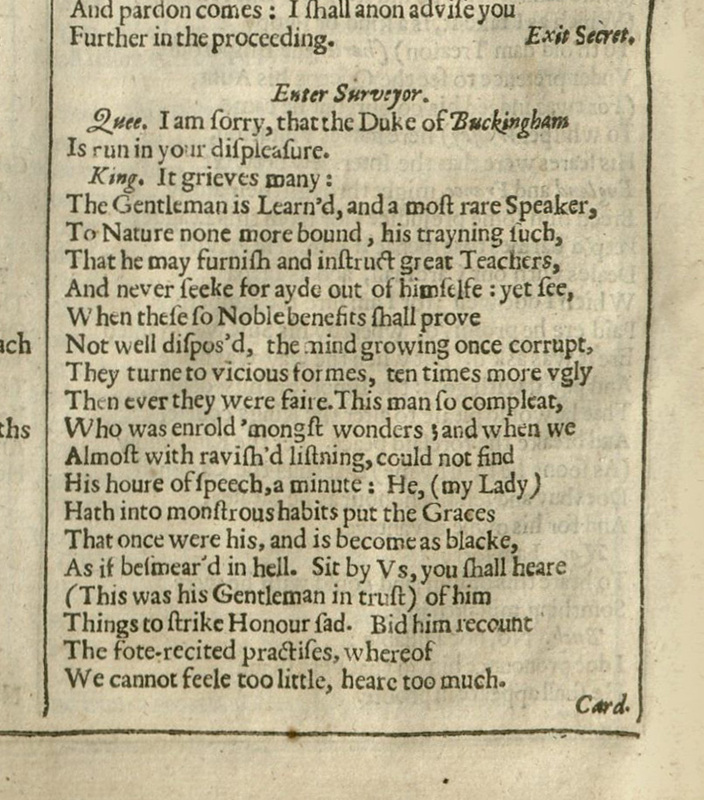 The long s, which looked like ſ or ſ, was pronounced just like the s in "sir." 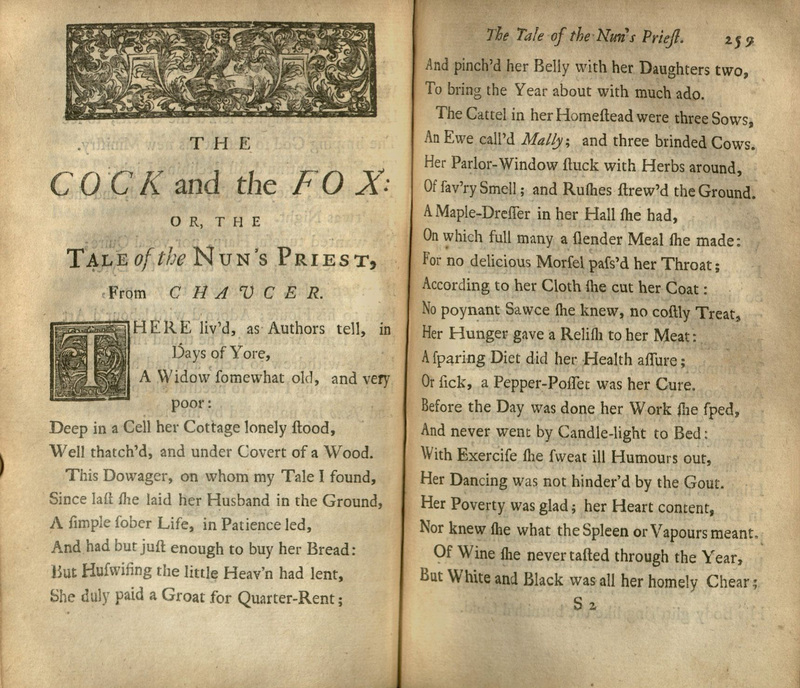 The long s was only lower case, and most commonly used in the beginning and middle of words. 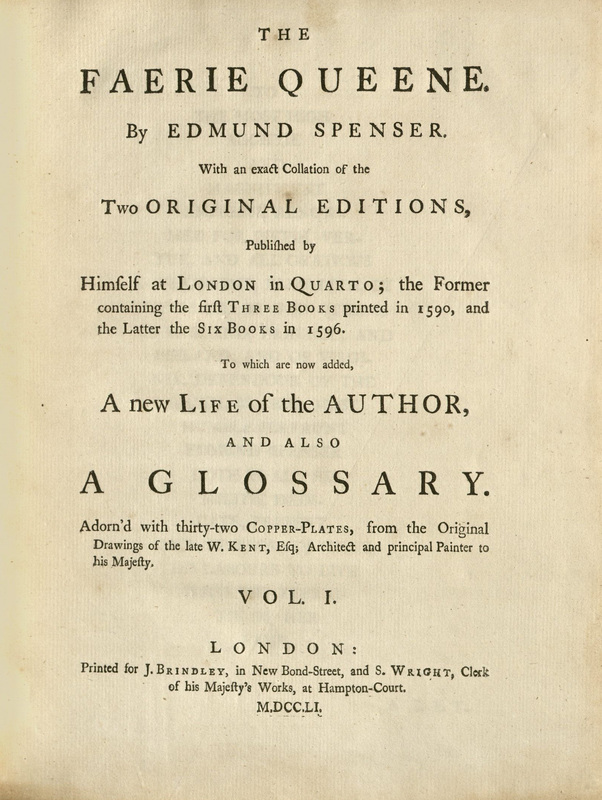 The lower-case "s" we use today also existed then, but was largely used only if s was the last letter of a word, or sometimes in the case of a double s. Words like "persons," "foolish," and "success" might have been spelled "perſons," "fooliſh," and "ſucceſs." 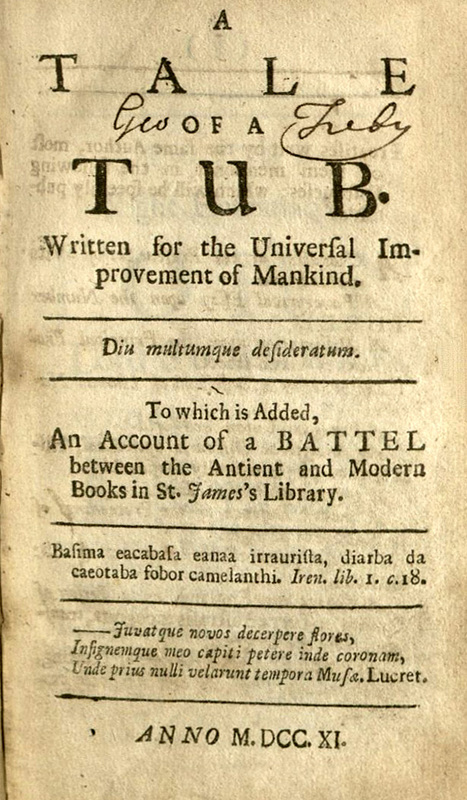 The letter fell out of use in English in the mid- to late-18th century, though it lingered in handwriting into the 19th century and was used in German well into the 20th century. 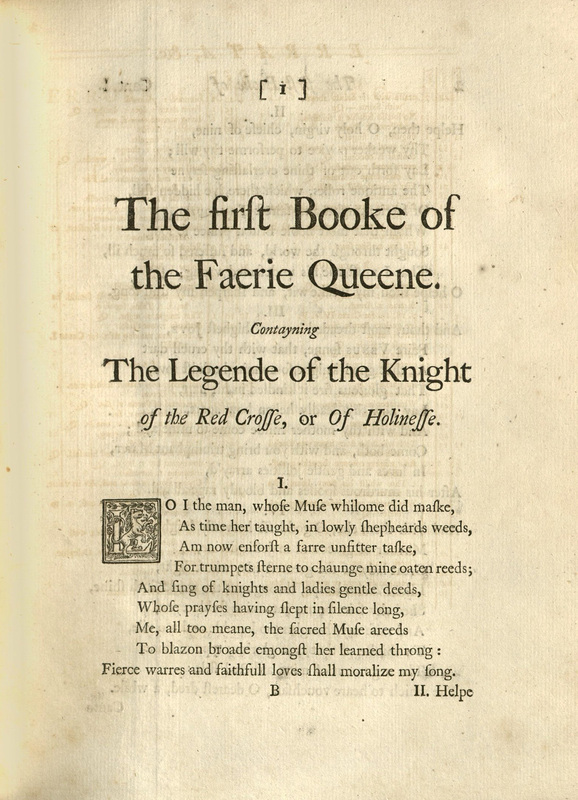 Special Collections and Archives holds many volumes printed in English when the long s was in use. 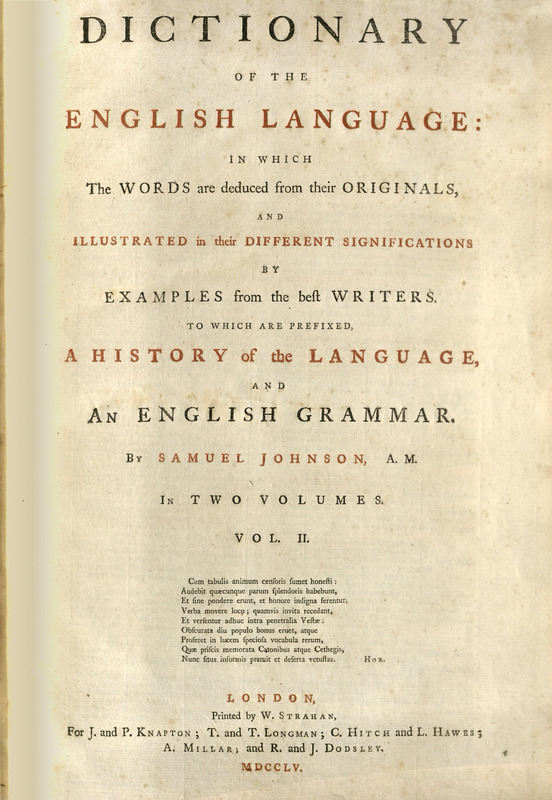 The long s can be seen in the first edition of Samuel Johnson's famous Dictionary of the English Language (1755), with selected entries displayed above, including one that describes a lexicographer, one who compiles a dictionary, as "a harmleſs drudge" and another that describes oats as "a grain, which in England is generally given to horſes, but in Scotland ſupports the people." 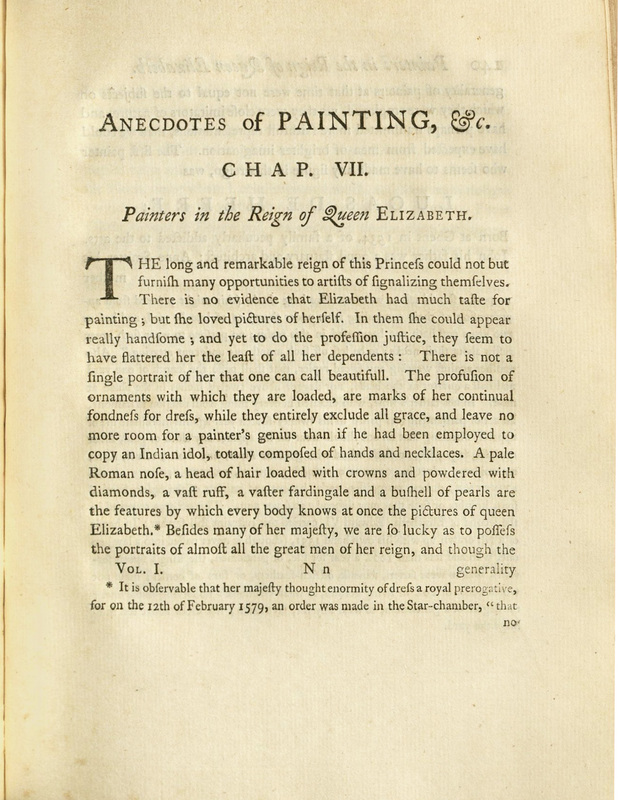 In Anecdotes of Painting in England (1765), art historian and antiquarian Horace Walpole said Queen Elizabeth I did not have "much taſte for painting, but ſhe loved pictures of herſelf." 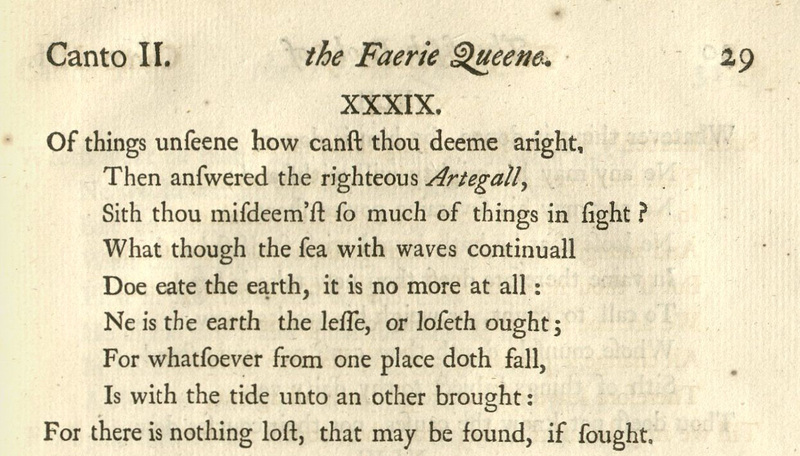 Numerous other works in the collections use it, including a 1751 printing of Edmund Spenser's famous epic poem The Faerie Queene, which asserts "For there is nothing loſt, that may be found, if ſought." 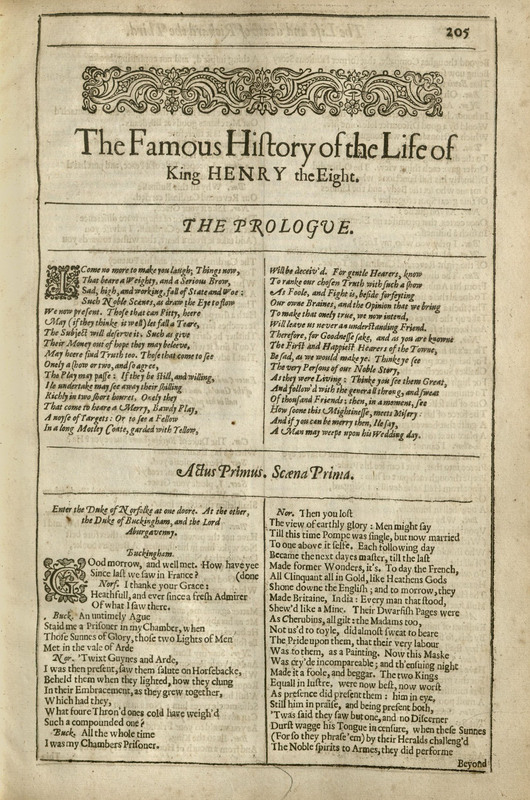 A copy of William Shakespeare's The Famous History of the Life of King Henry the Eighth from 1632 features Queen Katharine telling King Henry "I am ſorry." 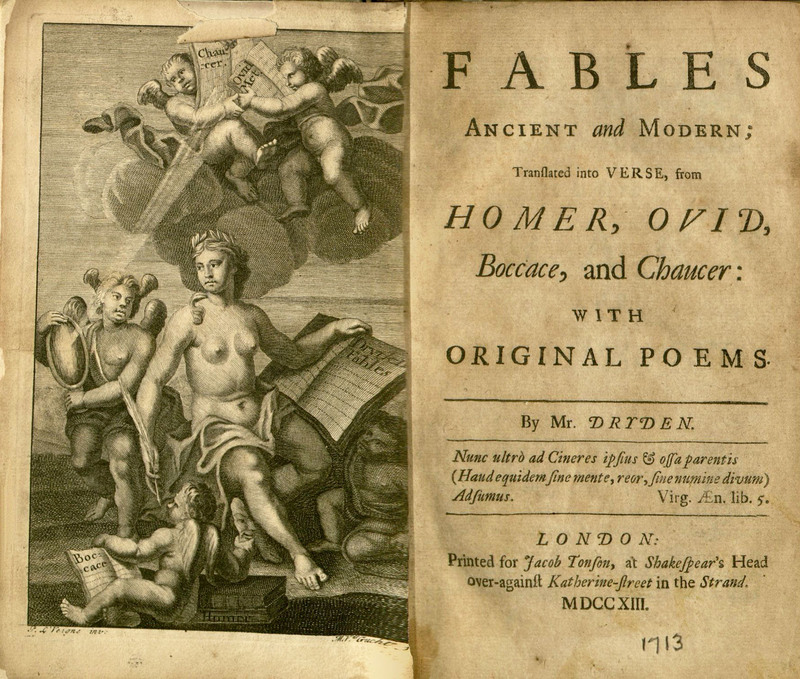 Poet and playright John Dryden's Fables Ancient and Modern (1713) includes a tale in which a widow is described as leading a "ſimple ſober life," and chapter seven of famed satirist Jonathan Swift's A Tale of a Tub (1711) is titled "A Digreſſion in Praiſe of Digreſſions."